I do not do new years resolutions, no way….. It just don’t work….. But, I have something ahead of me that could have been a new years resolution. My new darkroom!! In just a couple of weeks it will be ready for use, and I’m over the moon about it!! I had a darkroom about 20 years ago, and I just loved it. But you know, life interferes ….. But now it is time again! And I have found something that I’m just dying to do, LITH PRINTING!!! I can for obvious reasons not give you an image of it, but this image will probably be one of my first trials. I have found some great inspiration on this, one great group on Flickr and a fantastic book I’ve ordered from Amazon. I can really recommend this book by Tim Rudman if you are interested in darkroom work, it is fantastic, and not very pricy when bought used from Amazon. Wow, can we please see that? Thank you very much Evelyn! Good luck with the lith printing Marie and what great news for the New Year – a new darkroom. Looking forward to seeing some of the results. I’m very happy for you Marie. I’ve managed to spend a little time in my temporary darkroom and I love working in there. Unfortunately I have to dis assemble it every time as it’s the only bathroom in the house!. Good luck and happy printing! Oh, that’s a pain… I had it that way too, back in the days. Very frustrating… Hope you can manage it anyway! Wonderful! Looking forward to seeing your work. CONGRATULATIONS on your new darkroom. This image is amazing. Can’t wait to see what you produce in your darkroom. Wishing you much success in 2013. Thank you ever so much Francine! Happy dark room, so ! Congratulations! I don’t have the space for my own darkroom space, so I rent time at a local photography school. I’ve been dying to try lith printing myself. 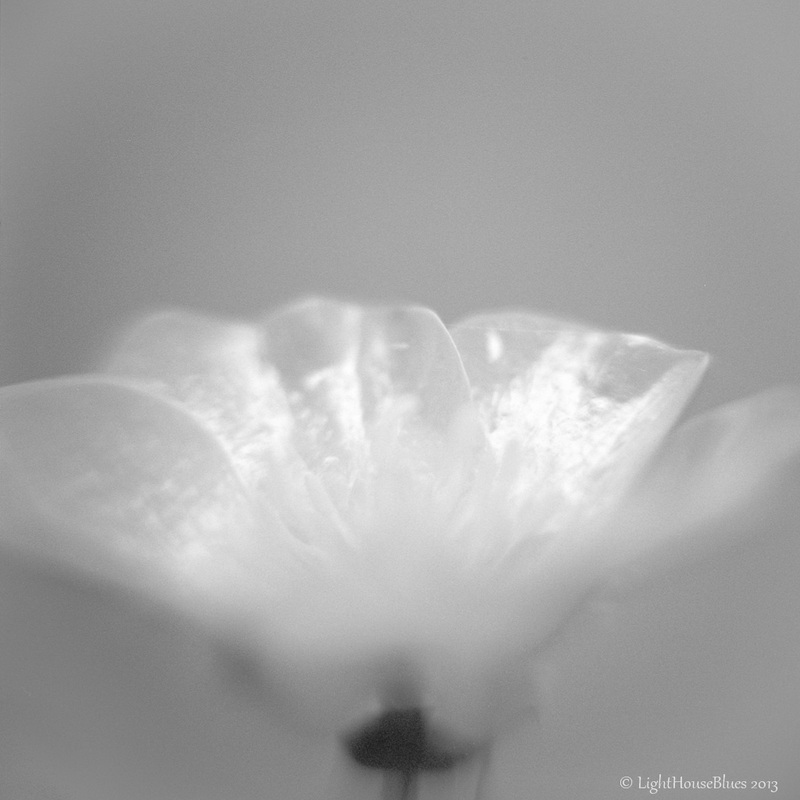 I think pinhole lith prints are gorgeous! Happy 2013 Marie! Have you seen the book I referred too? It is GORGEOUS!! And you know what? I have found an onlinestore in Europe that sell Rollei Infrared 400 in 4×5!! Guess who’s their next customer? Efke is not to be found anymore, sadly… I still have 3 rolls of 120 film, and I’m saving them until spring and summer. But 4×5 IR, and then a lith print of that? …Yes, I’m thrilled…..
Today, I almost can’t imagine that either… But, you know, my kids were little then, soccer, floorball, their school and homework, my own full time work, getting the whole life jigsaw together…. To many other priorities….. But now has life given me opportunity to do it again, and I’m very happy for that. Btw, Zero 5×4, is it good? Rae likes her Zero very much and has grabbed my 75mm/5×4″ viewfinder, which is now mounted on the Zero with an accessory shoe from a dead 35mm camera. Rae feels the viewfinder, a Goersi from China, makes framing more precise, which is as important for pinhole as for any other photography. Envy; envy; envy! But I too might look into ‘renting’ something occasionally. However, without a ‘resolution’ – they don’t work for me either – I am a good way, in 5 days, to getting our small ‘guest’ space sorted into a usable photo workshop for everything except enlarging/wet printing. I should as a result avoid fixing my spaghetti bolognese or simmering my D76! Seriously, really looking forward to every post from you in the coming year. Oh! how I envy you; I wish you all the luck and I am waiting to see the results of your adventure!! The same happend to me. I have done darkroom long time ago but now there have past years since I haven’t being in one. Hopefully a friend of mine is thinking in re-opening his father’s, so we can have some photo fun in there! You must convince your friend and nag at him properly, it’s always more fun if you are two!